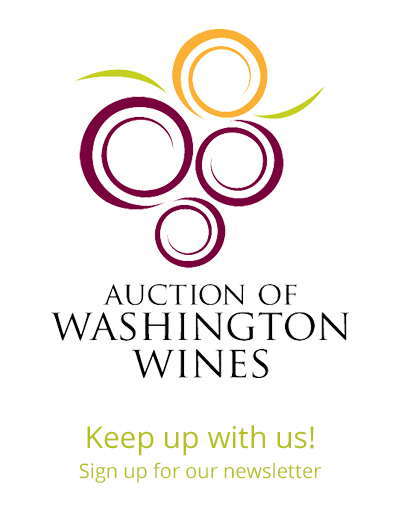 The Auction of Washington Wines(AWW) celebrated its 31st annual charitable wine events at Chateau Ste. Michelle winery in Woodinville, Wash. this weekend, August 16 – 18, 2018, and raised nearly $4.1 million. AWW surpassed their goal to raise $3.6 million this year. Proceeds from the events benefits Seattle Children’s Hospital and Washington State University’s (WSU) Viticulture & Enology Program. Private Barrel Auction (Thursday, Aug. 16): For the fourth year, the Private Barrel Auction provided a unique opportunity for retailers and restauranteurs to bid on one-of-a-kind wines specifically produced for this exclusive occasion and raised $251,500 for Washington State University’s Viticulture & Enology Research program. This is a record and an increase of 83% over last year. Record attendance included more than a dozen high-level national trade buyers who were hosted for the entire weekend. Winemaker Picnic & Barrel Auction (Thursday, Aug. 16): The annual picnic brought together more than 1,400 attendees for picnic games, international street food-inspired fare prepared by Tulalip Resort Casino and wine tastings from more than 80 Washington winemakers. Guests bid on one-of-a-kind wines and experiences during the wine barrel and silent auctions. Winemaker Dinners (Friday Aug. 17): Winemaker dinners took place at private estates around the greater Seattle area on Friday evening. Some of the winemakers included: Quilceda Creek, Abeja, and Leonetti Cellar, alongside notable chefs such as John Howie of John Howie Steak, Jason Wilson of Lakehouse, and Jason Stoneburner of Stoneburner. Columbia Winery Charity Walk & Run (Saturday, Aug. 18): The annual run, complete with delicious bites, wine tasting and live music raised funds for autism, cancer clinical trials and uncompensated care at Seattle Children’s Hospital, raised $100,000. Now in its 12th year, the run has donated over $1 million dollars in total to SCH since its beginning. 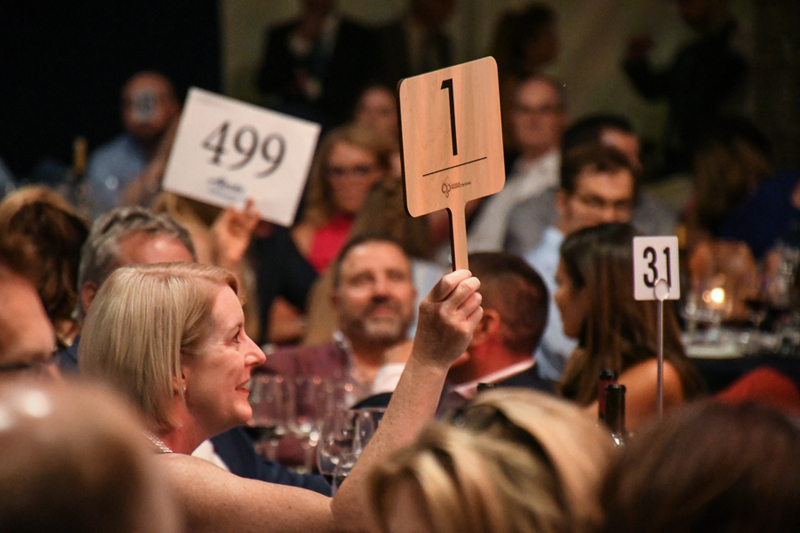 o A trip to Bordeaux courtesy of DeLille Cellars received the highest bid of $160,000 for the evening and was won by Tom Sweeney and Rod and Kim Stohler. o A bid of $115,000 was received from Paul and Connie Kapioski for a lovingly restored 1935 Antique Ford Roadster and this lot received a $100K matching cash contribution from The Ellison Foundation. o Local Washington winemakers provided pairings for guests during a social hour featuring oysters from Renee Erickson, Sea Creatures; as well as bites from chef Thomas Griese of RN74 before enjoying a four-course plated meal including dishes from chefs Kurt Dammeier of The Butchers Table and Perry Mascitti from Tulalip Resort Casino. o A highlight of the evening was the song, This Is Me, by 15-year-old Cassidy Huff a Seattle Children’s patient. o Throughout the evening, guests heard moving speeches delivered by honorary chair, Ray Isle, executive wine editor of Food & Wine; honorary vintner Charlie Hoppes of Fidélitas Wines; community co-chairs, Yahn Bernier and Beth McCaw; and honorary grower, Marshall Edwards. o The event was well attended by prominent Seattle attendees, including: Jon and Gretchen Jones (Brighton Jones), Doyle and Alane Simons (Weyerhaeuser), Jeff and Amie Sperring (Seattle Children’s CEO), John and Deanna Oppenheimer (Columbia Hospitality), Stein and Linda Kruse (Holland America Group), Charles Smith (Charles Smith Wines) WSU President Kirk Schulz and wife Noel, Jim and Jan Senegal and Sherry and Larry Benaroya.